Gmail is a very popular and frequently used source of mails transaction especially in offices. It is usually used to send official or important mails. But sometime after sending mail we recognize that we sent it to wrong person or address. At that time we always think that if there is way to undo this mistake. Yes, it is possible in Gmail, but very few people know about it. Here in this article we will see how we can stop if wrong E-mail sent on Gmail. Step 1: First open your Gmail account. Then on the right side of screen you will see gear button (setting button), click on it. You can find this gear button just below of your profile image. In its drop-down menu choose settings. 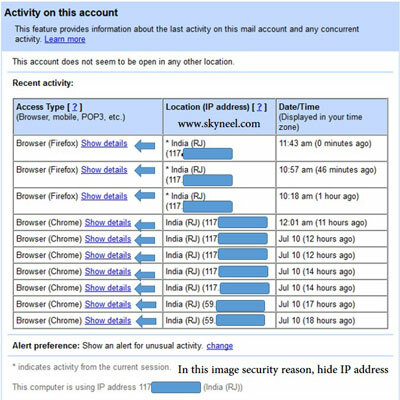 See in blow image.Must Read: How to know your Gmail account is hacked or not. Step 3. After clicking on save change, go to your inbox again. Repeat first step and go to settings. Default ‘General’ tab in front of you. Scroll down side from tab and here you will see ‘Undo Send’ option. This option will be tick marked, by that you can know that your first option is saved.Set-duration-to-stop-sending-mail. 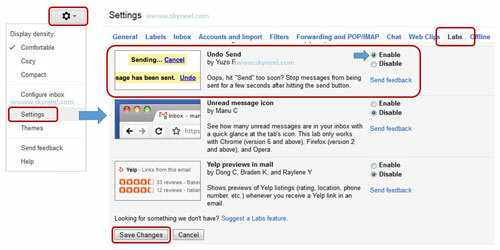 Step 4: In this tick mark option you can choose time duration of 5 to 30 second to stop sending mail. When you chose your time duration, scroll down side and click on ‘save changes’ option. Now your process complete. You can activate this option by following above steps and stop wrong mail sending process. I hope you like this stop if wrong E-mail sent on Gmail guide from which you will be able to easily stop if wrong E-mail sent on Gmail without any extra efforts. If feel any problem in this guide then please use comment box. Thanks to all.